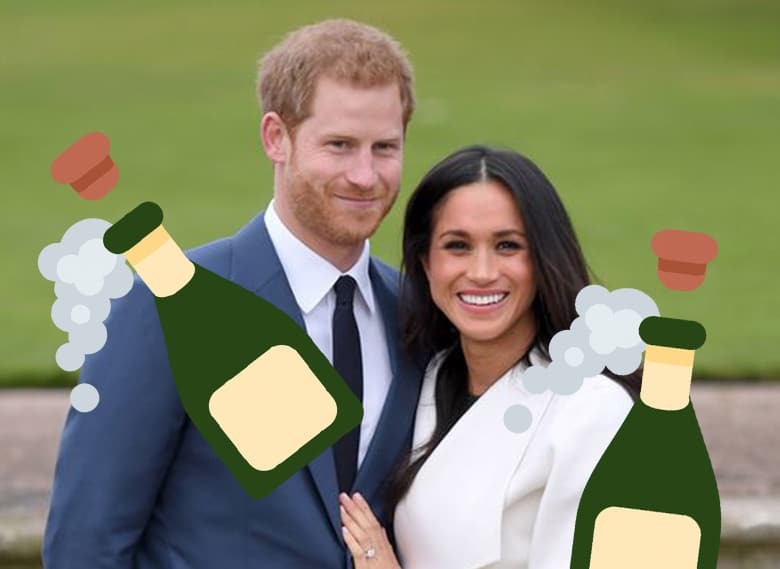 Welcome to the Royal Wedding Drinking Game! On deck to be married on May 19, 2018, are Prince Harry, the sixth in line for the British throne, and former American actress Ms. Meghan Markle after dating for nearly two years. The young couple was subjected to harassment and ridicule when their relationship was announced, largely due to Ms. Markle’s race; she is the first mixed-race person to marry into the British Royal Family. The couple has soldiered on despite some wardrobe protocol issues, such as Meghan’s dislike for wearing tights and stockings underneath her clothing. The day will surely prove to be a massive spectacle, so sit back with some bubbly and watch these Royals tie the knot!